[Revised — RDC.] 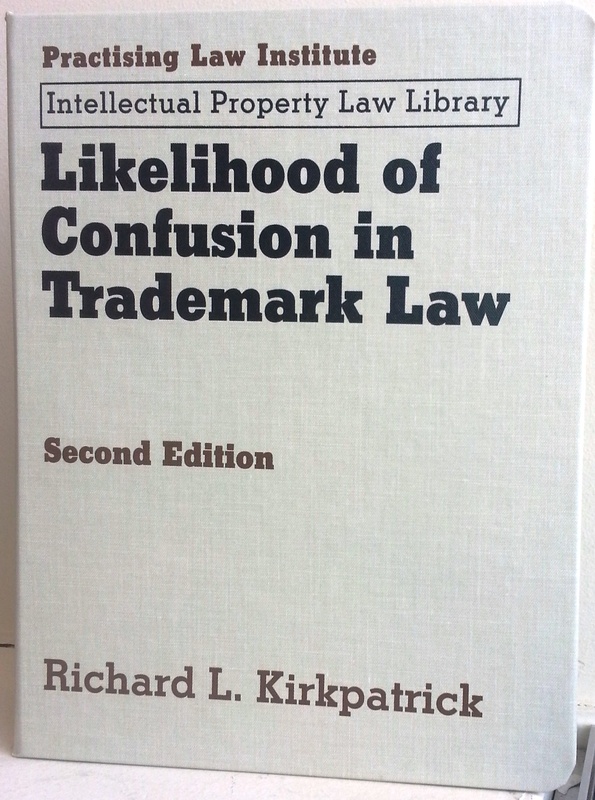 Congratulations to Richard K. Kirkpatrick of Pilsbury Winthrop, who has — through the Practising Law Institute — has come out with the second edition of Likelihood of Confusion in Trademark Law. Kind of has a nice ring to it! We are told that this is the 28th supplement to the book, which was first published in 1996. PLI provided me with a review copy of the work, and I’m glad they did. I’m not so sure PLI will be glad after they read this, but they should be: It’s a book I would buy if I had not gotten it for free. Richard Kirkpatrick is a highly distinguished trademark law practitioner whose career I can only envy. He is also, his law firm’s website tells us, editor of a website called DeclineandFallResources.com which offers resources for readers of Edward Gibbon’s The History of the Decline and Fall of the Roman Empire. Thus Richard typifies, in a way so few younger lawyers do, the lawyer as renaissance man — broad of reading, catholic of interest and a man, surely, for all seasons. The allusion to the work of Gibbon, however, as well as its subject, is too obvious to avoid. This is true with respect to both the work and the empire — Big IP. That empire made this book possible and, at the same time, its own doctrinal and cultural decline is manifest in what is otherwise a volume that is both scholarly and practical. Indeed, it requires a special sort of intellectual rigor to write a book about likelihood of confusion in trademark law without it metamorphosing into merely a book about trademark law. While likelihood of confusion is at the heart of trademark law, it is not the only topic of relevance. This book focuses on its subject matter, even as it treats the topics it does address — many of them quite singularly — in a very comprehensive and intellectually supple fashion. Richard does approach the important questions in modern trademark law, such as those implicated by one of my favorite topics, the 1962 amendments by which, as we know, the Lanham Trademark Act was amended by striking language requiring confusion, mistake or deception of “purchasers as to the source of origin of such goods and services.” As Richard notes in Likelihood of Confusion in Trademark Law, the courts have interpreted this provision as, in the words of one court, prohibiting “confusion, mistake or deception of any kind, not merely of purchasers nor simply as to source of origin.” Coupled with the 1989 amendments that added all that “sponsorship, affiliation” etc., business, there’s your basic initial-interest confusion birth-of-a-nation moment right there. Richard writes with muted approval about claims the courts have approved based on “subliminal” and “associational” confusion. He does acknowledge, to be fair, that analyzing “any kind” of confusion under this standard can indeed by “vague” — but that such confusion may very well be found when there is no diversion of sales, as long as there is some sort of threat to goodwill and reputation. And, of course, this is where it gets sticky. Ultimately, this book is, alas, a dinosaur. It’s not a hulking brontosaurus like McCarthy on Trademarks and Unfair Competition, the full skeletal fossils of which adorn all of our bookshelves; but like that massive work, a creature that evolution has passed by. What this book does not do is question whether these vague formulations of likelihood of confusion were or are a sound view of the law or, more importantly, whether they are good law today at all. This is to be expected, I suppose, for a work such as this, which is of a certain imperial time and place, which brooks no acknowledgment that the barbarians are not only at the gate but sacking the Forum. But I keep wondering: Notwithstanding anyone’s point of view about what the law “ought to” be, shouldn’t plaintiff’s lawyers be aware of the decidedly contrary trend in likelihood of confusion law — away from “vague” “any kind” of confusion — when they advise clients, send cease and desist letters or file papers in court? Here is an area of law so potentially unclear, about the legal hazard and the competitive harm wrought by such extraordinary plastic standards of legal liability — or, as far as I can see, by the judicial trend acknowledging these problems and, in fact, stopping claims of this nature cold in recent years. Yet there is in fact virtually no acknowledgment, and even less discussion, of the scores of cases running in this direction which, obviously, your blogger didn’t litigate. I know the official IP bar doesn’t like these cases. But, again, does it do Big IP any good for its lawyers not to pay attention to trends in the courts? Shouldn’t they be prepared for the interference they’re going to get from savvy defendants’ lawyers and 21st-century judges when writing treatises and giving seminars that are supposed to guide lawyers? I think the results increasingly speak for themselves. Richard does address the fact that there are limitations on trademark rights, of course. But the extent of this discussion is the front and back of one page. If not for the footnotes that take up one of those pages — footnotes from another section — it would not even be that. Even then, among the handful of cases cited with respect to the limitation of trademark rights, the most recent is dated 2003. Almost none of them deal with the use of trademarks on the Internet. Much the same is true concerning the citations in the sections addressing the degree of care exercised by consumers and the fair use defense: The cases are all a decade old or more, and few if any wrestle with consumer behavior and perception in the most relevant marketplace of our time, i.e., the Internet. In fact, it does not appear that much, if any, refreshing of citations was done since the previous edition of the work, first published in 1995. This is understandable, because doing so would have necessitated rewriting a lot of substantive sections of the book. But it is compelling to consider that there is one entry in the index for the word “Internet,” and even that points only to a relatively minor point concerning overlapping channels of commerce. There is no discussion at all of the hottest issue in likelihood of confusion today, i.e., in the context of the Internet. 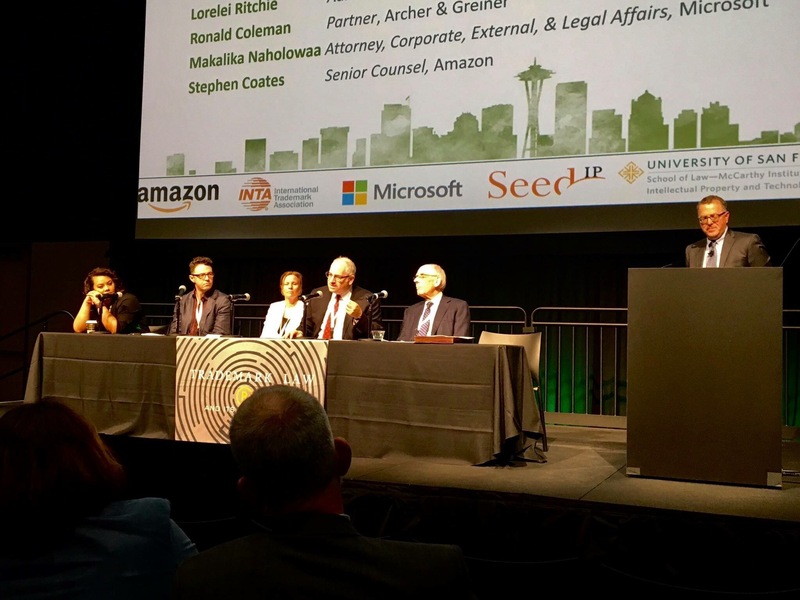 These questions have been well developed by now in cases such as Ascentive v. Opinion Corp., much less the scores of opinions generated in lawsuits against Google. Rosetta Stone Ltd. v. Google, certainly one of the most important Circuit Court opinions in recent years to address these issues, is mentioned only in passing on the topic of the general unsuitability of summary judgment for deciding likelihood of confusion. The book offers little more than parenthetical treatment of the use of trademarks on the websites in connection with content-sensitive and search-engine driven technologies. As to search engines themselves, there is no question any more that at least some trademark use is implicated by the use and sale of trademarks as key words by search engines. At what point does such use phase from a mechanical part of an algorithm into a phenomenon that has a direct impact on the consumer’s perception of trademark identification — of origin; of association; of endorsement; of affiliation — of confusion? What does an Internet consumer infer from the use of a trademark on a website that reviews, sells, compares or criticizes goods and services of third parties while at the same time featuring advertising that also uses those trademarks? The courts have been taking on these questions for years, but this book about likelihood of confusion does not. Even important recent decisions not involving the Internet are merely dropped into footnotes, especially if they went the defendant’s way. For example, there is no discussion of Louis Vuitton Malletier, S.A. v. Haute Diggity Dog, LLC, a very important opinion on the subject indeed. Because of these omissions, the book cannot be called comprehensive, though it may very well have been in 1996. Yet it is very valuable, and, yes, still worth having, because it deals very effectively and originally with the nitty-gritty of litigating claims in this impressionistic, subjective landscape. Whose confusion matters? What is the evidentiary significance of a lack of actual confusion? How might a plaintiff respond to such evidence? Richard does grapple with these questions. He also deals in great detail with the appallingly unclear legal landscape for confusion surveys with many other issues involving the litigation of likelihood of confusion in a way not found anywhere else that I know. What is disappointing is that given the excellent bone structure of Likelihood of Confusion in Trademark Law, so little in the way of meat has been added in recent years. Still, PLI saw fit to deem this work as a new edition of the book rather than a mere revision. Notwithstanding what is missing, however, this is — still, and truly — a book that trademark litigators and others involved in enforcement should have as a resource, especially because of its unusually detailed and well-sourced discussions on the practical aspects of litigating likelihood of confusion cases. You can buy the Kindle edition here (recommended, because I make money through the link if you do) or order the tree-killing edition directly from PLI here, and I think you should because of the many unique and, in their own right, comprehensive treatments of important and subtle issues concerning the topic. Rome, after all, is eternal. Just not so much imperial any more.